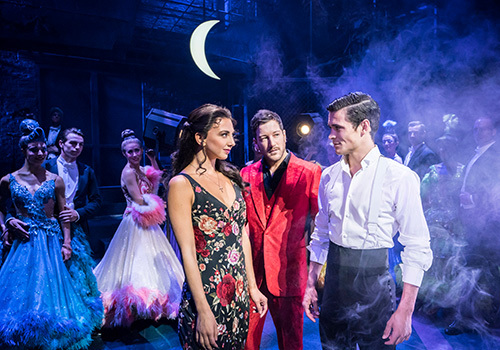 16 August 2018 - "simply heaps of fun"
Baz Luhrmann’s musical Strictly Ballroom dances into London’s Piccadilly Theatre for a limited West End season, starring Will Young and Zizi Strallen, following a successful revival at the West Yorkshire Playhouse in 2016. Originally receiving its world premiere in Australia in 2014, Strictly Ballroom the Musical is the uplifting celebration that inspired a whole new generation to dance. 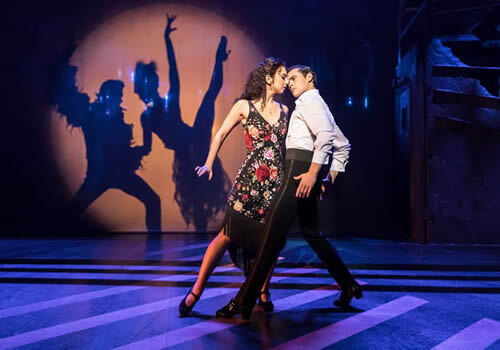 Based on Luhrmann’s 1992 film of the same name, Strictly Ballroom is adapted from a short play he wrote in the 1980’s, and tells the story of competitive ballroom dancer Scott. Dedicated to following his heart and creating his own unique moves, much to the ballroom-purists’ aggravation, the musical sees him pair up with left-footed partner Fran to defy the odds and win the Pan Pacific championships his way. Featuring a book by Luhrmann and Craig Pierce, Strictly Ballroom boasts a stellar score of hits from the original film, including John Paul Young’s “Love is in the Air”, Doris Day’s version of “Perhaps Perhaps Perhaps” and Cyndi Lauper’s “Time After Time”. 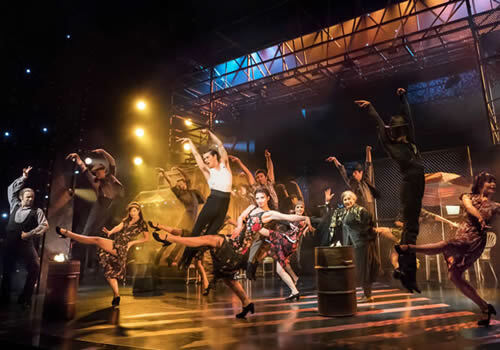 Olivier Award-winner Drew McOnie directs and choreographs the production, with credits including the award-winning In the Heights and Jesus Christ Superstar, as well as On the Town and the upcoming King Kong on Broadway. Baz Luhrmann is best known for his multi-award winning films, with Strictly Ballroom making up part of the “Red Curtain Trilogy”, which also includes Romeo and Juliet and Moulin Rouge. Matt Cardle plays the role of band leader Wally Strand, taking over from Will Young. A singer, songwriter and musician, Cardle won X Factor in 2010 and has since enjoyed success in the UK charts and performed the lead in Memphis the musical. EastEnders' Jonny Labey makes his West End debut as Scott Hastings, opposite West End veteran Zizi Strallen as Fran. Further casting includes Michelle Bishop as Pam Short, Ivan De Freitas as Merv, Gabriela Garcia as Vanessa Cronin, Charlotte Gooch as Tina Sparkle, Richard Grieve as Les Kendall, Liam Marcellino as Wayne Burns, Stephen Matthews as Doug Hastings, Fernando Mira as Rico, Eve Polycarpou as Abuela, Lauren Stroudas Liz Holt and Gary Watson as Ken Railings, as well as Anna Francolini as Shirley Hastings and Gerard Horan as Barry Fife. Ensemble members include Chris Bennett, Chrissy Brooke, Hannah Fairclough, Selina Hamilton, Christopher D Hunt, Luke Jackson, Justin-Lee Jones, Robin Kent, Jacob Maynard, Leanne Pinder, Tinovimbanashe Sibanda and Dale White. With Drew McOnie at the helm, further creatives include set designer Soutra Gilmour, costume designer Catherine Martin, lighting designer Howard Hudson and sound designer Gareth Owen. The production also features musical supervision by David Caddick and orchestrations by Simon Hale. 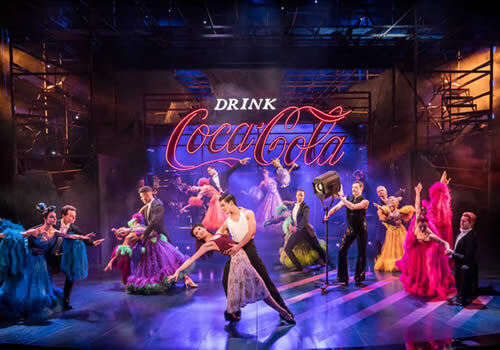 A kaleidoscopic musical full of colour, romance and a passion for dance, Strictly Ballroom the Musical plays at the Piccadilly Theatre from March 16th 2018, with an official opening on April 11th 2018. 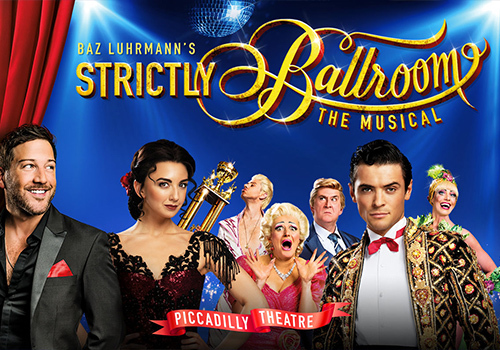 Strictly Ballroom the Musical is suitable for those aged 12 and up. Children below 5 are not permitted into the theatre.